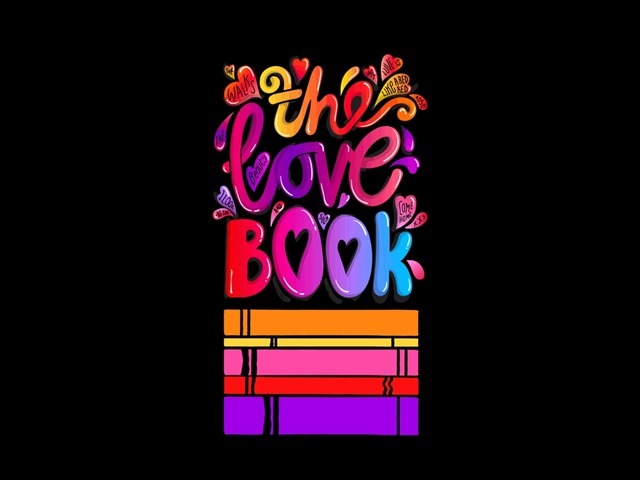 The Love Book includes poems, quotes, love letters, and prose all about love, and several themes around one of our most powerful and bewildering emotions. 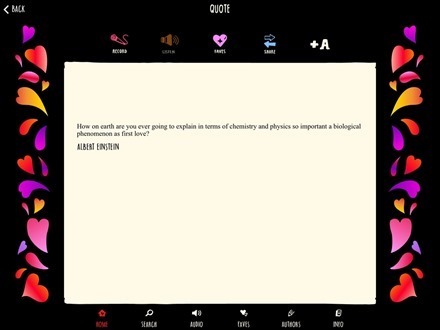 The selection of writers and pieces in the book is superb, from Shakespeare and many classic poets to none other than Albert Einstein. 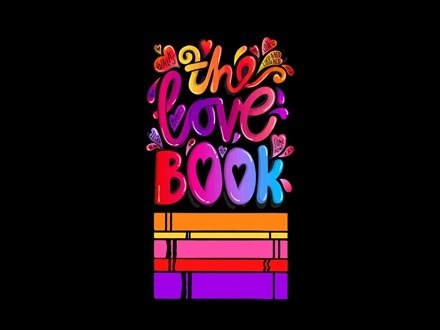 If you’re looking for a healthy dose of love on your iPad on this or any other day, The Love Book is a fine prescription. 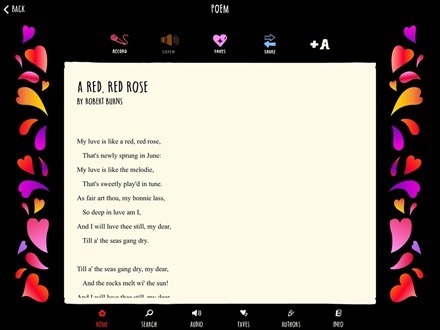 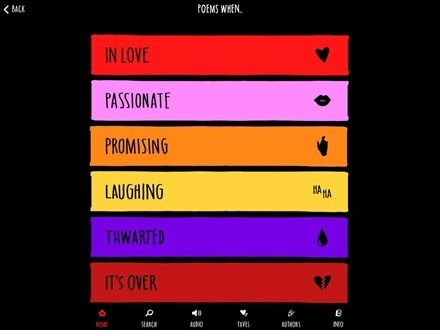 Here’s an App Store link for The Love Book; it’s priced at $2.99.